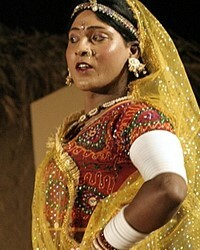 Most of the Saharia (or Sor) of India live in the state of Madhya Pradesh. They may also be located in the hills of the Ganjam district of southern Orissa, as well as in the states of Andhra Pradesh, Bihar, Tamil Nadu, West Bengal, and the Plains division of Assam. They speak a Munda language that belongs to the Austro-Asiatic language family. The Saharia are a tribal people who have had little contact with the outside world. Between 1864 and 1866, the hills region was brought under control by the British expeditionary forces, who executed or transported the Saharia leaders. When the British began collecting taxes, the Saharia rebelled. Even today they have a reputation as being extremely fierce, although anthropologists have not found this to be true. The Saharia who live in the hills have recently become aware of Indian national party politics. The younger generation is now learning to read and write their own language; however, most of the Saharia remain illiterate. The hills Saharia are divided into five sub-tribes: the Jati, Arsi, Muli, Kindal, and Kumbi. This classification is based primarily on occupation. The Jati are farmers; the Arsi are weavers; the Muli are iron workers; the Kindal are basket makers; and the Kumbi are potters. The sub-tribes are divided into approximately 17 territorial units rather than clans. They are free to marry within these divisions, and they generally live as extended family units. The Saharia farmers use the "slash and burn" method of cultivation along the hill slopes. This has brought them into tremendous conflict with the Forestry Department. Their main crops include gourds, millet, sorghum, and wild rice. During the early 1900s, many of the Saharia migrated to other areas and took temporary wage-paying jobs on tea plantations or as road builders. Many remained in their new locations and became farmers or field workers. The most specialized occupation is the shaman. Shamans are religious leaders who cure the sick by magic, communicate with the spirits, and control events. There are also hereditary positions, which include village heads, deputy heads, pyre lighters (those who burn corpses at funerals), and priests of the village deity. Public opinion and gossip are the main forms of social control. Saharia villages generally contain several quarters called longlongs. Each longlong is inhabited by one patrilineage (the line of descent as traced through the male's side of a family) called a birinda. Several houses belonging to close relative may be joined together on one terrace. Conversations can be held between houses over the dividing walls. The houses have thatched roofs and are built of stone plastered with red mud. During the autumn, the villages are largely deserted; the people move to widely scattered "baby houses" in order to guard their crops against wild animals. The Saharia eat most kinds of animals. Their diet is based on a watery porridge that is sometimes garnished with vegetables or meat. Palm wine is a popular beverage. They prepare all of their food by boiling it. The villagers obtain necessary items in the weekly markets, which are located where the plains meet the hills. They exchange forest produce and millet for clothes, iron ax heads, plow tips, salt, chilies, jewelry, and buffalo for sacrifices. The Saharia practice their traditional ethnic religions. However, they are also aware of Hindu values and use them in defining their own identity. As a non-literate culture, they associate literacy with the power of the shaman's familiar spirits. All illnesses and deaths are believed to be caused by the spirits of the dead. Since most of the Saharia are illiterate, there is a great need for the Gospel to be presented to them through radio broadcasts and the Jesus film. Increased intercession and missions efforts are necessary for reaching the Saharia for Christ. * Ask the Lord to call people who are willing to go to India and share Christ with the Saharia. * Ask God to use the small number of Saharia believers to share the love of Jesus with their friends and families. * Ask the Holy Spirit to soften the hearts of the Saharia towards Christians so that they will be receptive to the Gospel. * Pray that God will open the hearts of India's governmental leaders to the Gospel.View Sahariya in all countries.